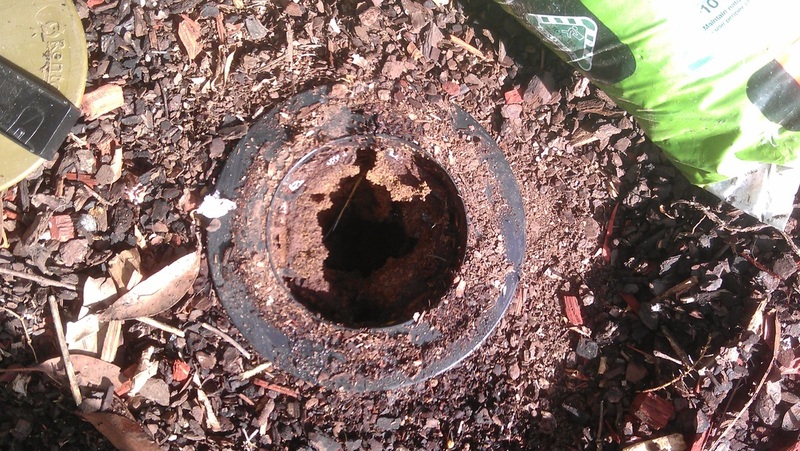 Our photo/video gallery hopefully gives the customer an insight into how and why we treat pests in certain ways. Contact us today if you have questions or concerns about pest problems in your home or office, or to schedule an inspection. 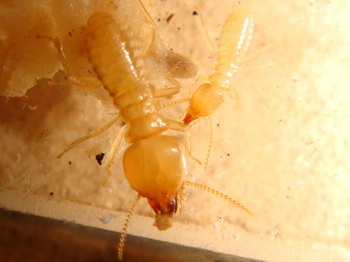 These 2 termite soldiers are both from the Schedorhinotermes species, which along with the Coptotermes Spp, are the most economically significant termites we deal with in New South Wales. 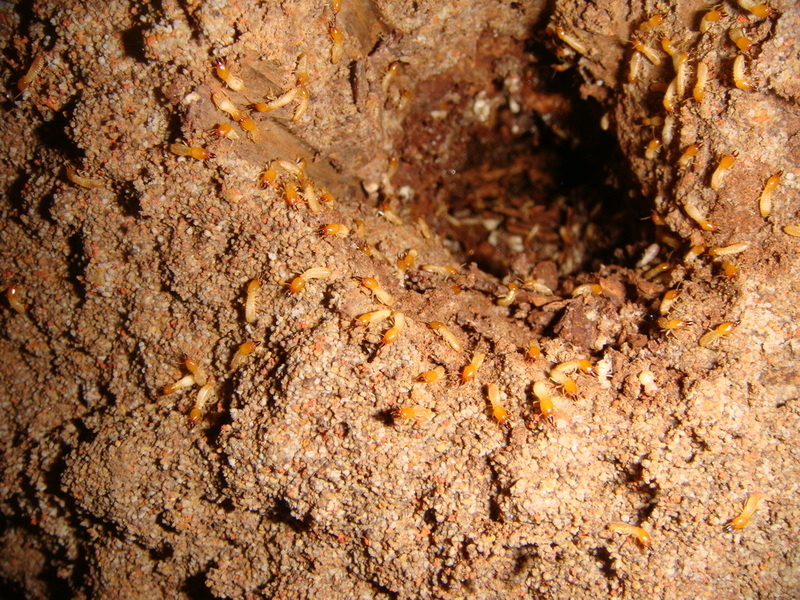 When we are trying to identify the termite species, we do so by identifying the soldier termite. Schedos are easily identifiable, as they are the only pest species that have major & minor soldiers. 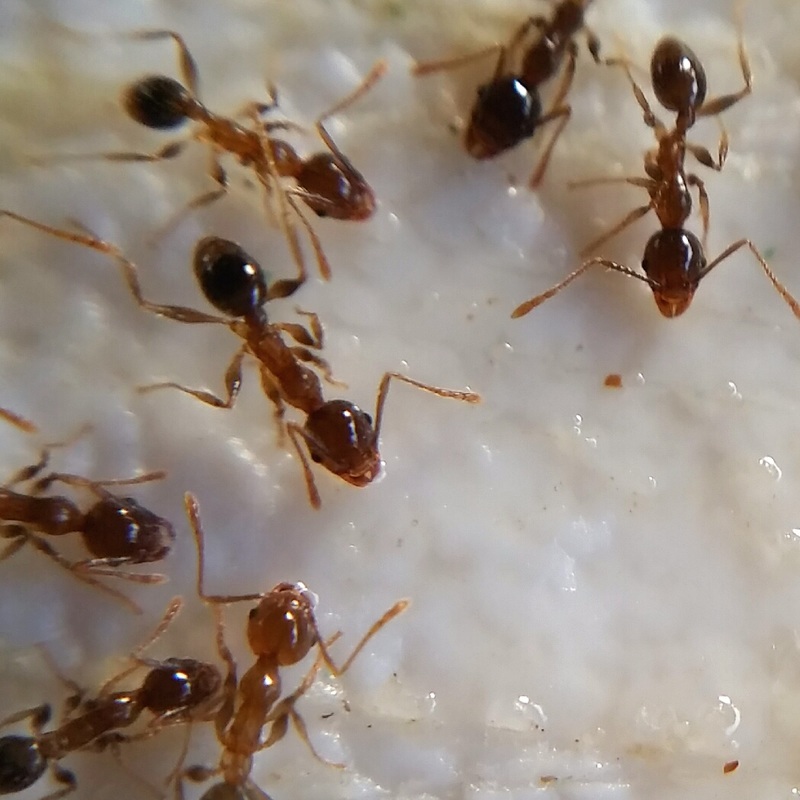 An experienced pest control technician should also be able to identify the species by the damage they cause & even by the noise they make when disturbed. This termite nest was found beneath a suspended slab patio, which had been bricked in by the builder, leaving a 10m x 5m x 1m high void, containing Oregon timber formwork & the perfect humid environment for the termites to set up home. This area had not been accessed since the house was built in the 70's & an extension to the house had even been made over this slab at some point in the past. I suspected there could be a void present, so I knocked a hole through the foundation wall to find this amazing feat of termite engineering. 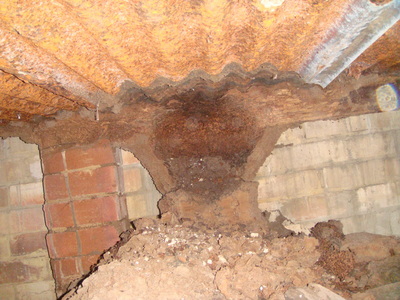 Check out the thickness of the external mud wall of the nest in pic 3. 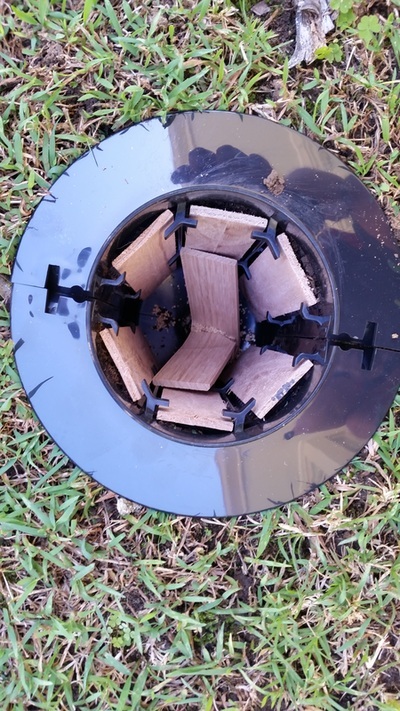 The inside [mudguts] of the nest is a very fine mud webbing & the termite queen sits in the centre of this chamber. N.B. These pics are several years old, so don't worry, I use better torches these days ! 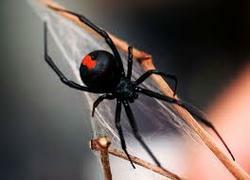 Most Red back spider bites are by the larger female. They usually remain in, or close to the nest, so most bites occur when someone puts a hand too close to the web. The female usually has the distinctive red back, but sometimes is it is less obvious or non existent. Nobody has died since the introduction of an anti-venom in the fifties. Symptoms are pain in the area of the bite & in the lower limbs, sweating, nausea & seizures on very rare occasions. 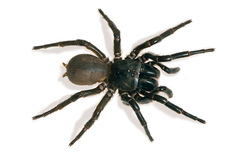 The Sydney Funnel-web spider usually lives in moist dark & cool areas, such as inside rotten logs & under rocks. The male is seen much more often than the female, as the female tends to stay in the nest & the male has to go out to search for a mate, mainly in the moths between October & March. Therefore all deaths & most bites are from the male. Anti-venom means there have been no recorded deaths for many years. Symptoms are sweating, tingling around the mouth & tongue, twitching, watery eyes, pain, nausea & vomiting. Identification of the male Funnel Web is best made by checking for small extensions called spurs on the 2nd front legs. Other spiders that can be confused with the Funnel Web, are the Mouse Spider & sometimes the Wolf Spider. The house rat likes to share our environment. They like the shelter, warmth and food, that our homes can offer them. 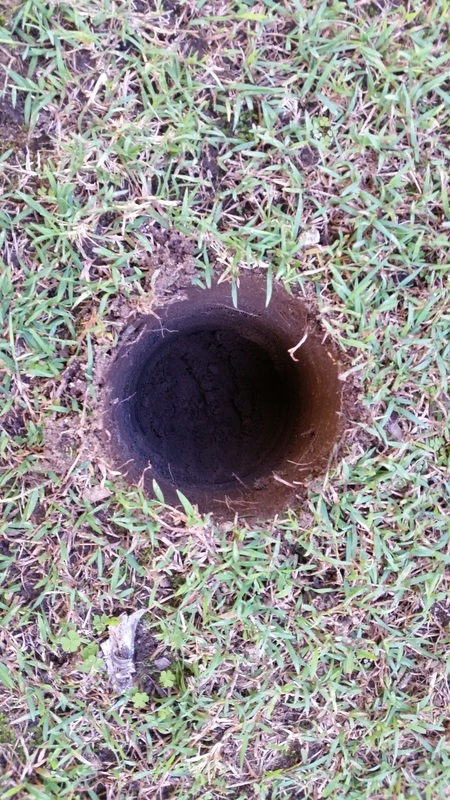 Most homes in Sydney will experience an infestation at some time. They are also very gregarious animals, living in large family groups. If you think you may have 1, it usually means you have MANY of them. We use strategically placed baits in the roof void & sub-floor of your house, or if your property is of concrete slab construction with a flat roof, we will place strong, child/pet friendly lockable boxes, around your house or apartment building. N.B. 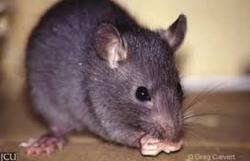 Bush rats & water rats will not infest your property & no treatment is required for them. 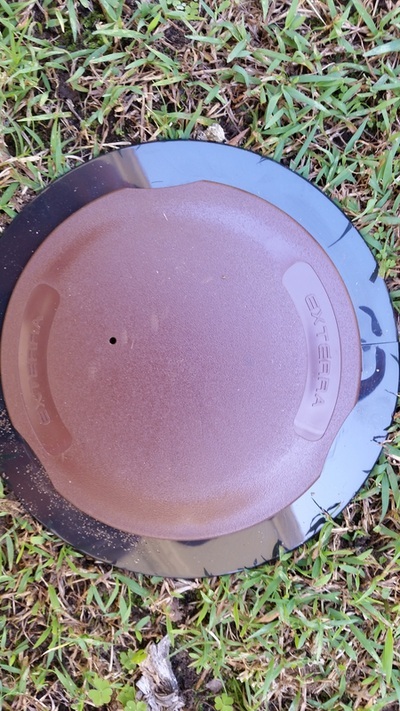 Eradicator Pest Services uses the Flir E8 model thermal imaging camera for termite detection. I test-drilled this tree in Bayview, locating a termite colony, using a temperature probe. I then used the camera on the same tree & this picture-in-picture view clearly shows the hottest point in red. The cross-hairs in the picture is a hot-spot setting. This automatically moves to the hottest area. 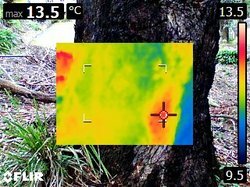 This was the exact spot that I had the highest temperature reading, when using the temperature probe inside the tree. Eradicator Pest Services uses Exterra termite baiting/monitoring system. These photos show the placement of in-ground stations, which we set approximately 3m apart, around the external perimeter of the property. 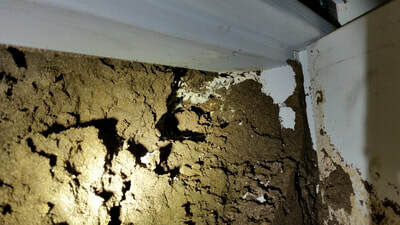 Termites randomly forage for food & once they find the tasty Mountain Ash timbers inside the in-ground stations, they send a chemical pheromone message to the colony to feed at the site. 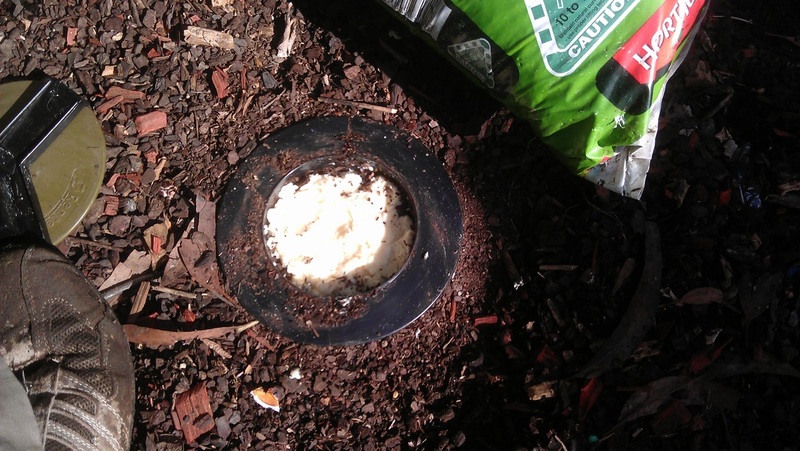 Once the termites are established, we add the active ingredient bait to the station. The termites then transfer the bait back to the colony. 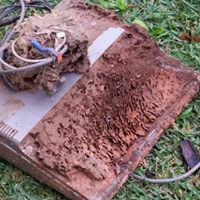 Termites need to shed their skins every few months. 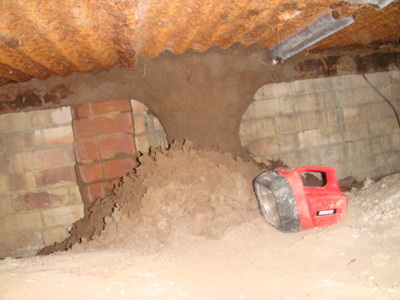 The bait prevents the termites from molting, therefore destroying the entire colony. 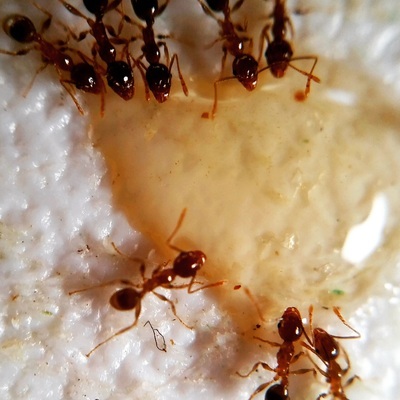 These ants favour sugary foods. They completely consumed this blob of honey, the size of a 5c coin within a few hours. Paper Wasp nests are often seen on the underside of house eaves, but are often also hidden in garden foliage & garden furniture. 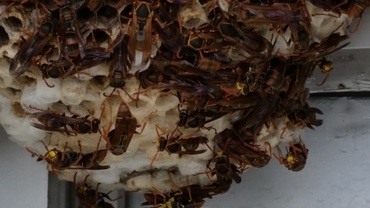 If disturbed, they attack en masse & the sting is extremely painful. 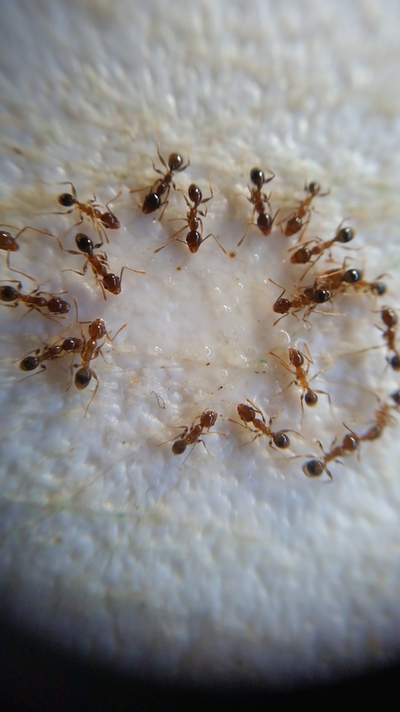 They should be treated by a pest control professional. 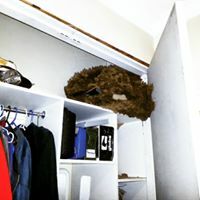 Termite nest in a wardrobe. This is a termite nest I found inside a wardrobe in a house in Avalon. Another company had attempted to do a partial treatment to the front patio area only, a few months prior to this developing. I baited it with Exterra & removed the nest material, once I was certain the colony elimination had been achieved. Whilst removing the material I found this old comuter embedded inside.